For this weeks my captured moment I am sharing a wonderful family moment from last week. Every moment is special when we are all together, even when they are screaming at each other over a football grrrr. Life is so so busy, making these little moments mean everything, having that down time to chill out together. 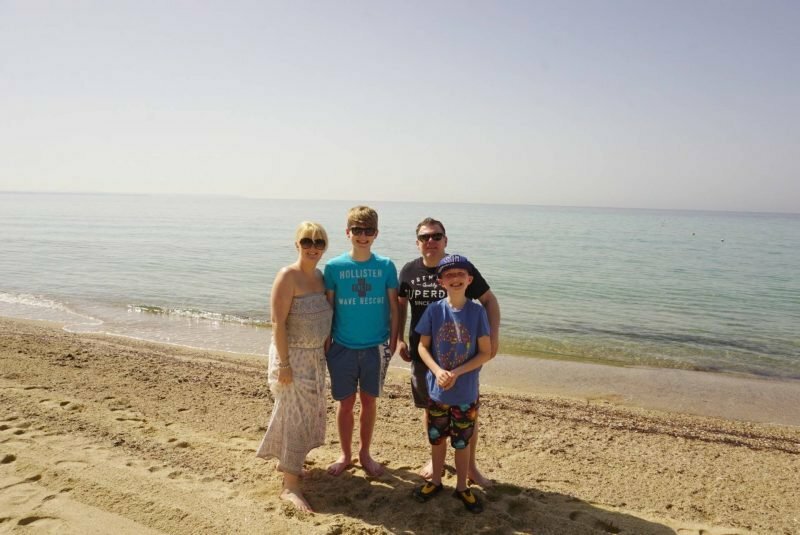 After a delicious breakfast we all headed down to the beach for a family walk, and on a mission to ride on the pedalos. 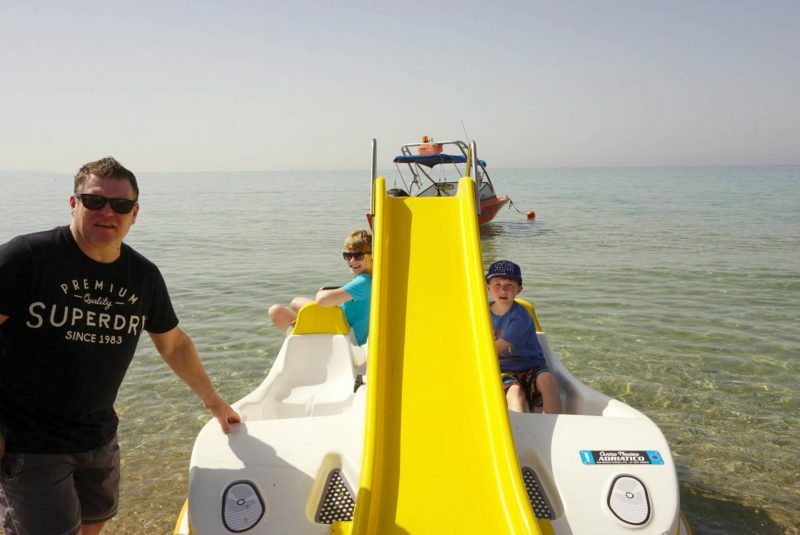 As soon as Joe had found out they had pedalos at Ikos Oceania he was desperate to try them out. He was dying to slide down the huge yellow slides into the sea. It was a gorgeous morning and although the sky was hazy you could feel that heat pushing through the haze, of what promised to be a beautiful hot day ahead of us. And being quite early meant the beach was still wonderfully quiet. 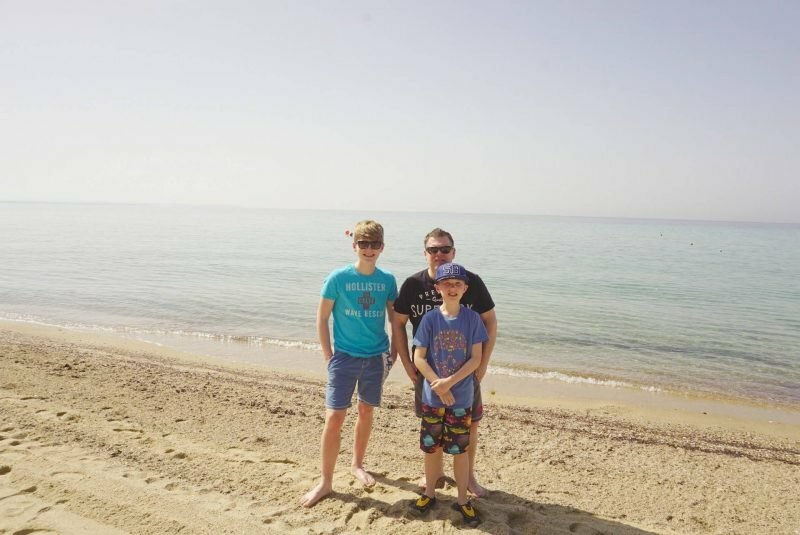 There is something so chilled about walking along the beach with your family, especially on a hot hazy morning, and the boys were in such high spirits as we made out way along the beach to the pedalos. I have to say the sea was colder than expected, but as Greece is only starting to wake from winter it is hardly surprising. Once we had all managed to clamber in Chris and Joe pedaled us out into the ocean. 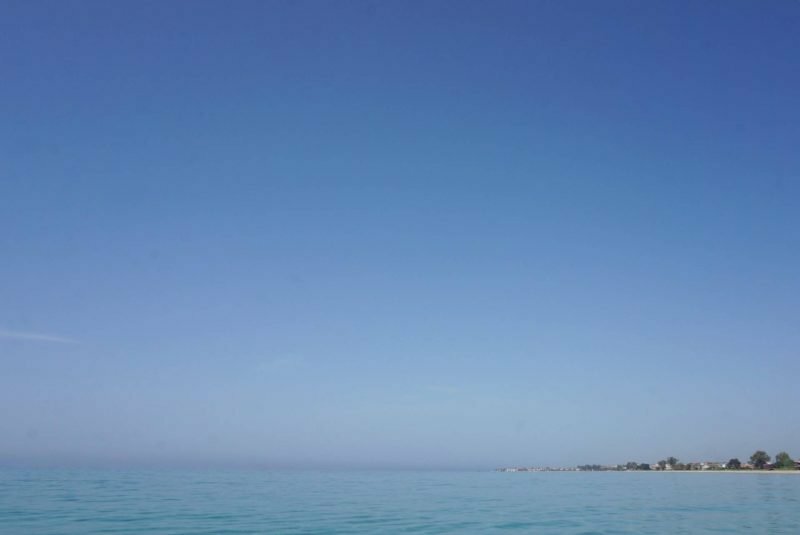 It felt so tranquil, just us on this tiny little bright yellow vessel bobbing up and down watching the shore, and the fish swimming bellow us, catching sight of the odd jellyfish. Joe very quickly decided that maybe it wasn’t warm enough to have a dip, but Jack and I sat with our feet in the spray as Chris and Joe did all the work. Enjoying the view and listening to Chris and Joe bicker over who was the better at steering and who should steer. Of course Joe was if you like going around in circles ha ha. For that precious 20 minutes we sat, laughed and chilled out in the middle of the ocean with a stunning 360-degree view. 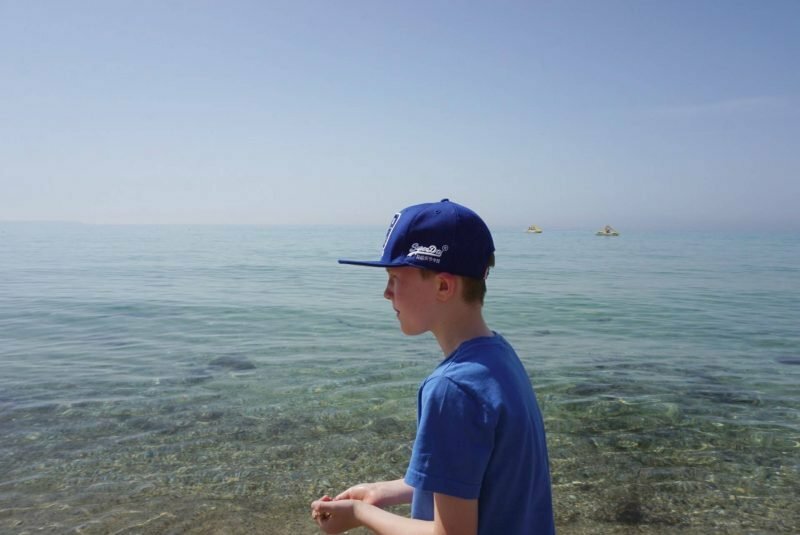 The shame of it is, the very next day Joe made the decision that he was in fact brave enough to take a dip, but the sea was a little too choppy for water sports. 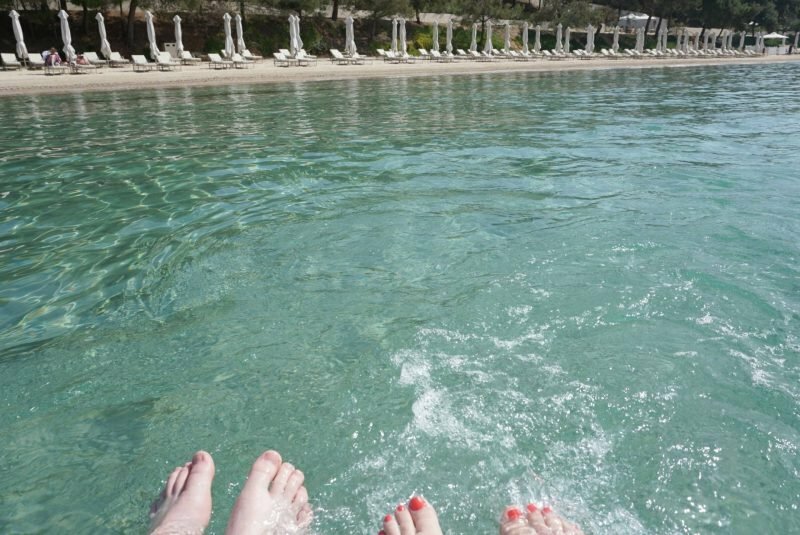 However he was happy with the promise that we would return to Ikos Oceania to take the dip on a pedalo soon. Oh this is amazing, can you imagine the luxury of that in August and slipping into the sea – wow! What a lovely blog post! Greece looks gorgeous and these are great photos! What a great way to spend family time. I love how hazy the sky looks, and the colors of the water are perfect. Also, what a neat little pedal boat!